But you will receive power when the Holy Spirit has come upon you, and you will be my witnesses in Jerusalem and in all Judea and Samaria, and to the end of the earth. As we’ve worked our way through the first half of the book we’ve found that we have gone through each one of these elements. The Holy Spirit has come upon the disciples and they have been his witnesses in Jerusalem, in Judea and Samaria, and to the ends of the eart. Since we’re reading Acts as a story it might seem like the tension of the plot has been resolved. Why isn’t the story over? While it’s true that the Gospel has been preached to “the ends of the earth,” there’s still more to be explored about this idea of the gospel to the ends of the earth. It might help to put things in perspective. When Jesus left the disciples in Acts 1:9 his followers were all Jews. They surely believed that all the followers of Jesus would always be all Jews. If you had told them that in a very short time “Christianity” and “Judaism” would be two distinct religions, they would have thought you were crazy. But just a short time later, when Luke wrote the book of Acts, many or even most believers were Gentile believers. How could that be? There were surely some people at that time who were thinking that something must have gone terribly wrong. But I think Luke is writing to show that indeed, the gospel to the ends of the earth, the gospel for all people including Jews AND Gentiles is a natural consequence of what Jesus accomplished on the cross. In fact, if you reject the gospel to the ends of the earth, you reject Christ himself. And so in writing the book of Acts Luke wants to show us that we didn’t take a wrong turn. The gospel to the ends of the earth is not the mastermind of man, nor is it the happenstance of history–it is the very plan of God. 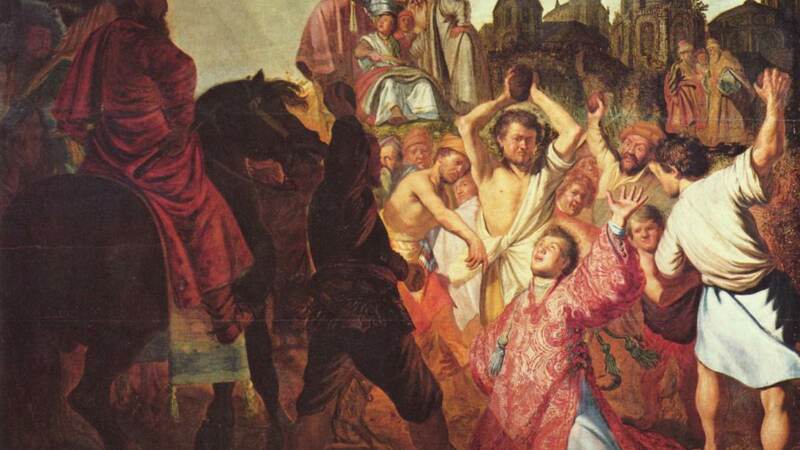 In order to see that the book of Acts can’t end with Cornelius, we’re going to back up to Acts 7-9 and take a closer look at the stoning of Stephen and the conversion of Paul. The first thing we notice about Stephen’s speech is that it focuses in on Moses. He begins his speech with Abraham, but even in the little information he gives concerning Abraham includes the detail about the Egyptian sojourn. Why is Moses and Egypt the focus? The OT uses the creation metaphor to describe the exodus (e.g. Isa 51:9-10). The point is that when God led his people through the Sea of Reads, he was performing an act of creation. Just like God created Adam when he fashioned him from the clay, so the exodus from Egypt is the point in time when God fashioned his people. This is also the reason he begins with Abraham. Abraham is the beginning of God’s work to create his people, but Moses is the climax of that creative deed. Jesus is the new Moses because he carries on and completes God’s redemptive activity. There is another reason that Moses is important. Luke has cast Moses as the quintessential “rejected prophet.” That’s why Luke makes it clear that Moses was God’s chosen servant (7:25) even before he was exiled to Midian (even before Exodus makes it clear!). Luke has recast this episode of Moses’ rejection as Israel’s rejection of the prophets. “This Moses, whom they rejected…” he begins in verse 35 and carries on through the rest of his speech. The implication is that by rejecting Jesus the Jews are doing what their ancestors have always done, they are rejecting God’s redemption as told through the prophets. Jesus is the new Moses because, like Moses, he is a rejected prophet. There is one other reason that Moses is the central figure in Stephen’s speech. It is through Moses that God gave instructions for the building of the tabernacle (the basis of the temple). And yet Stephen says, the Most High does not live in houses made by hands (7:48). For the Jews, the temple was the sign of God’s presence with them. It set them apart from the nations. But as we learned in Acts 2, God is present with his people in a different way and because of that, the people of God have been redefined. Jesus is the new Moses because he redefines God’s presence with his people. The final note we need to make on Stephen’s speech is that Paul (Saul) is present at his stoning (7:58). Not only that, Luke makes the ironic comment that “Saul approved of his execution” (8:1, see my previous article on Rembrandt’s work above). There is more going on here than dramatic effect. As I just tried to point out, Stephen’s speech sets the stage for a redefined understanding of the people of God. Jesus has inaugurated the next step in God’s redemptive plan and that plan is about to bear its fruit. In fact, Paul will be a primary agent for bringing God’s plan to fruition. That is why Stephen’s speech ends with an ironic reference to Paul. One of the most important things about the story of Paul’s conversion is that it was completely God’s initiative. Paul didn’t want it–he was persecuting the Christians (9:1-2). Ananias didn’t want to have any part in it because he knew exactly who Paul was (9:13-14). Go, for he is a chosen instrument of mine to carry my name before the Gentiles and kings and the children of Israel. This is not the mastermind of man, nor is it the happenstance of history. 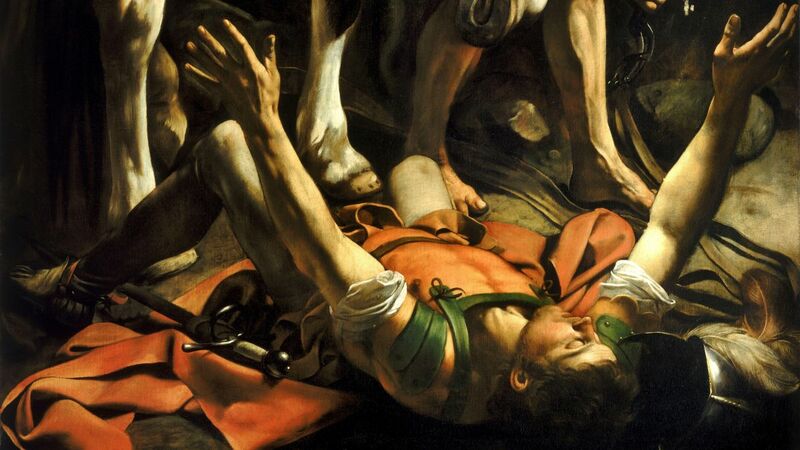 The conversion of Paul is the very plan of God to take the gospel to the Gentiles. All of these point to the fact that the stage is set for the Gospel to the ends of the earth–the gospel for all people. That’s why Paul gets introduced at the end of the speech. It is the first step in the emergence of Paul as the apostle to the Gentiles. As Paul’s character emerges, especially in the second half of the book, he becomes increasingly associated with the gospel to the Gentiles. In fact, and as we will see, to reject Paul becomes the same as rejecting the gospel to the ends of the earth. To reject the gospel to the ends of the earth is to reject Jesus. This is a much bigger change than just allowing a new set of people into the club. This is a change in the Jewish perception of the identity of the people of God. More importantly, it is an important part of understanding just what the gospel is and the impact it has on the world. In order to really understand the gospel, we need to explore this more. We need to let Paul’s character and ministry emerge, and we need to see just how big the effects of it are going to be. We need a whole second half to the book of Acts.